Pihlajasaari is an island in Helsinki, which actually consists of two separate islands connected with a bridge. 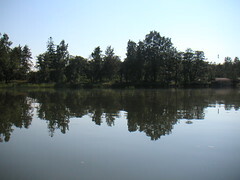 The islands can only be reached by boat, and in summer there is a boat travelling frequently between Kaivopuisto park and Pihlajasaari. Its beaches and restaurant are popular among locals.